This year JSC JDC Rescrutiny Application started from 25 December 2018 and end on 02 January 2019. Last year JSC Rescrutiny Result Board Challenge Application Result 2017 has been published on 29.01.2018 and found here. JSC and JDC result 2018 re scrutiny or Khata Challenge program starts from 25 December 2018 and will be continued up to 02 January 2019. 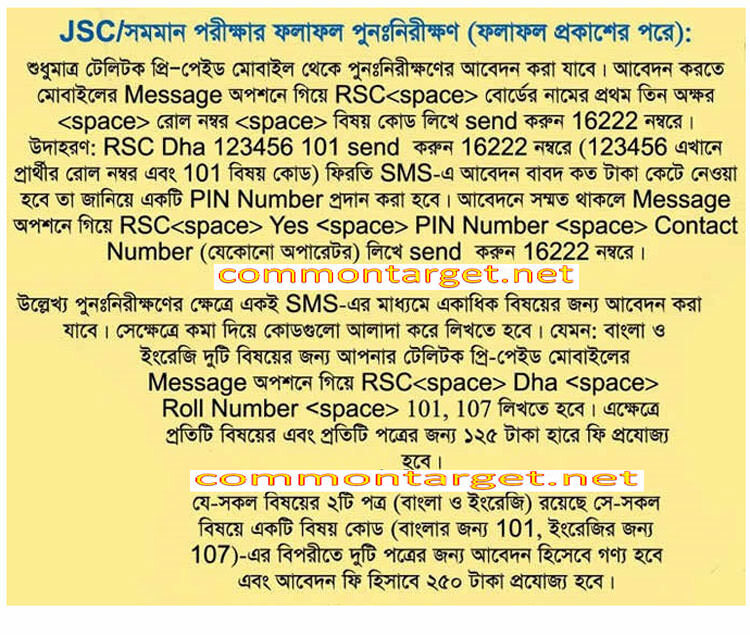 JSC & JDC Equivalent Result Rescrutiny/ Khata Challenge Process 2018 All Education Board of BD found here. Any Students who are not satisfied or dissatisfied with the JSC or Equivalent Result 2018 are able to apply to the process. Regrettably, there are many problems have to publish the JSC JDC Result 2018. So a lot of students are wishing to Re-scrutiny or Khata Test for changing his or her Results.